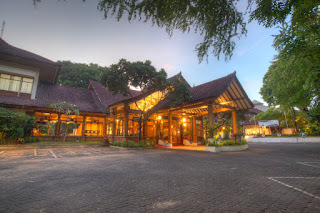 Welcome to Grand Istana Rama Hotel, Kuta Bali. We are located in the heart of Kuta and strategically we have the best location any holiday maker could wish for. Our 1.7 hectare of property is not only has a Balinese & tropical concept but also our rooms are considered to be the largest amongst others. The pride of Grand Istana Rama Hotel is in having a luscious garden surrounding our suites and rooms where one can witness a family of squirrels playing and living among a giant banyan tree. 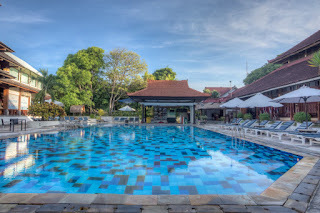 Whether one searches for that perfect wave for surfing, a gift or two to take home or just want to experience the rich cultures of Bali, then Grand Istana Rama Hotel is the perfect place to choose for your accommodation. Kuta beach is just in front of the hotel, Beachwalk Shopping Centre is next to us and finding out about Balinese cultures can be found right here inside the hotel. 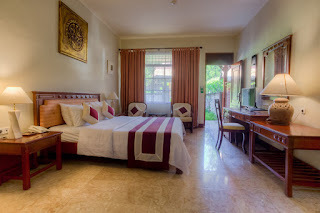 Please feel free to venture inside our website and we look forward in welcoming you on your next holiday to Bali. The Grand Istana Rama Hotel is set in 1.7 hectares of lush tropical gardens for your delightful Kuta Beach accommodation in Bali. 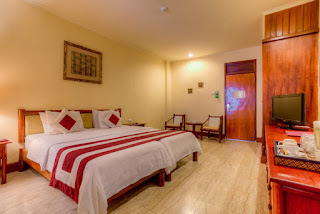 All rooms and suites are fully air conditioned, have a private bathroom with bath and shower, and are equipped with cable television, IDD phone, mini-bar, tea and coffee maker, and a daily supply of two bottles of mineral water.